Homerun for downtown’s homeless population! 150 residents of Connections Housing invited to attend Thursday’s Padres game. What: Thanks to a generous donation of tickets, 150 homeless individuals staying at Connections Housing Downtown San Diego are invited to attend the San Diego Padres vs. Los Angeles Dodgers baseball game. 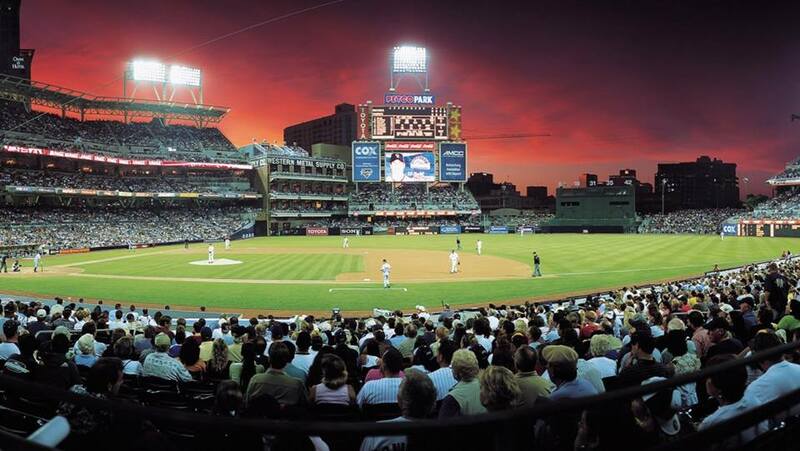 When: Thursday, June 20th, at 7:10 p.m.
Scott Lutwak, owner of Fit Athletic Club and founder of local nonprofit Urban Angels, has partnered with the San Diego Padres to give 150 homeless individuals a chance to enjoy America’s Pastime. The individuals who will attend the game are residents of Connections Housing, a 14-story residential and service facility for people experiencing homelessness that celebrated its grand opening in March. Last week, when Lutwak visited Connections Housing with Urban Angels to prepare and serve dinner for the facility’s residents, he overheard a resident wishing he could attend a baseball game this season. As soon as Lutwak went home, he contacted the San Diego Padres to arrange for a donation of 150 tickets for Thursday night’s game against the Los Angeles Dodgers and make that resident’s wish come true. Urban Angels was formed to nourish and provide food for San Diego’s homeless population, as well as empower a new generation of philanthropic community leaders. Their volunteers regularly donate, prepare, and serve meals at Connections Housing each week. Prior to the game on Thursday, Urban Angels will help residents get ready to play ball by hosting a classic hotdog cookout.